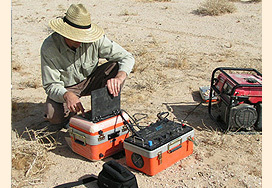 using surface seismic and electrical methods, as well as borehole geophysical logging. Seismic surveys are performed to determine the general basin geometry in terms of thickness of the sedimentary section, the depth to rock, and general bedrock gradients. 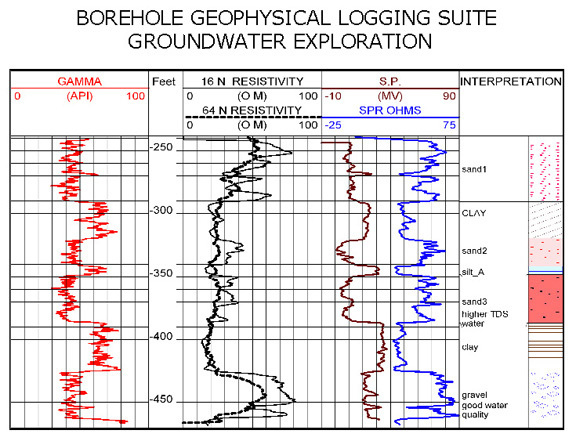 Surface electrical methods and borehole geophysical logging are typically used to determine lithologic variations within the sedimentary section in terms of fine and coarse grained materials. From this an assessment can be made regarding depth intervals and continuity of zones with water-bearing potential and zones that may act as confining layers and possible groundwater barriers. 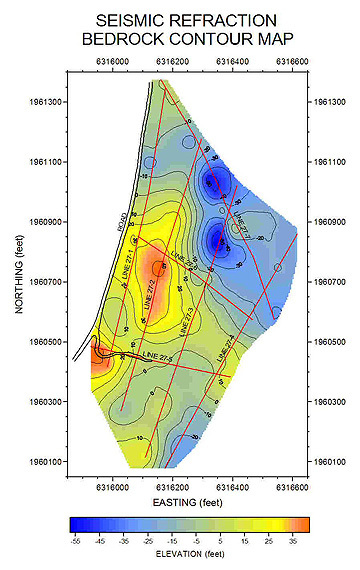 using surface seismic and borehole geophysical logging methods. These methods can determine the thickness of overburden and the seismic velocity of rock as it relates to rock hardness and the degree of weathering and fracturing. 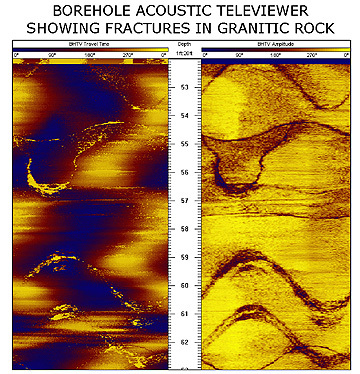 Additionally, specialized borehole imaging techniques can be used to assess frequency of fracturing with depth, orientations of fracture patterns, and other parameters. using surface electrical geophysical methods to delineate changes in electrical properties of the subsurface as they relate to sedimentary materials. The geophysical information can be used to determine the thickness of overburden if applicable, and the thickness and lateral extent of the aggregate. 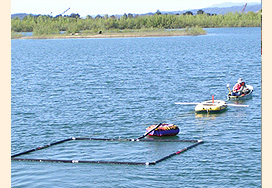 Additionally previously mined gravel ponds can be inspected to assess the feasibility of deeper mining with larger equipment.